When you think of fall, you may think of leaves falling, flannels, pumpkins, Halloween and more. For others, they may think of leaves crunching as they’re walking through the woods to their stands, the calm water surrounding them as they wait for the birds to wake up and watching the sun come up and brighten the whole sky as time passes. Hunting is something some people love especially in a smaller town like Albert Lea. In the high school many of our students and teachers are hunters, use to be or know hunters. Deer, turkey, duck, goose, rabbit and squirrel are just a few of the animals people hunt locally. “I’ve been hunting since I could hold up my gun,” he said, and hopes to continue hunting in the future as well. To these hunters, hunting is a way of life, especially since they have been hunting from a young age. “My dad has been taking me since I could walk.” Junior Grant Forman recalled. “Family and friends” is what the hunters said on why they started hunting. It is a great way for many families to bond and spend time with each other. 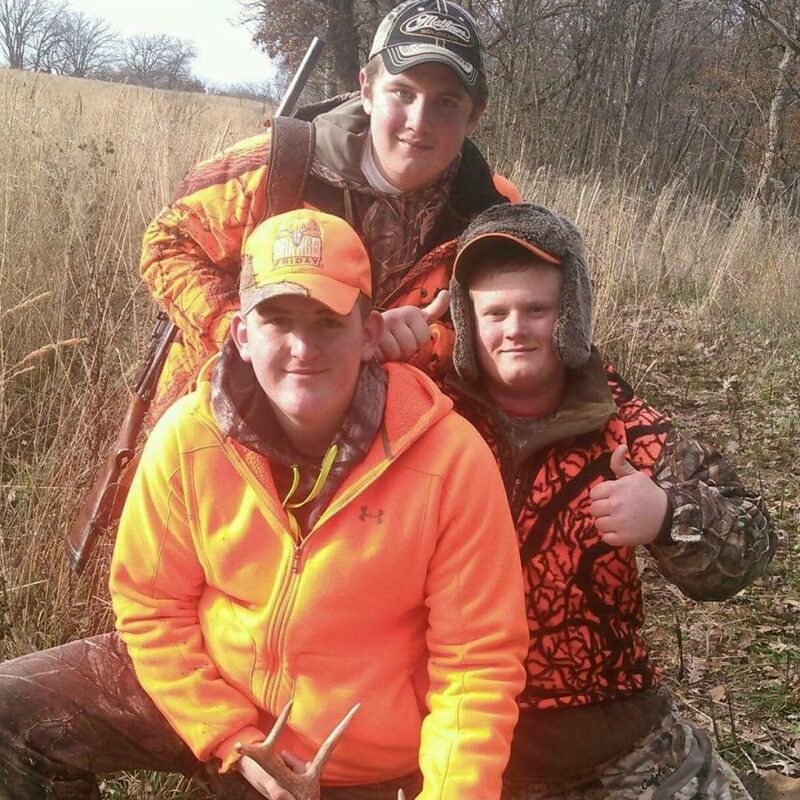 Elliott Flatten and Brody Dauer are family that grew up hunting together and have shared many memories together. Erik Thompson has been with them for the last year or so. Dauer says his favorite memory was when the Flattens and him all got a turkey in a day. According to Kenis, getting your first animal is exciting for the hunters. Hunting is not just a man’s game, Sophomore Ellie Senholt also has been hunting throughout her life. “I’ve been hunting with my dad since I was 3 years old.” Senholt said. She hopes to continue to hunt in the future because she loves being outdoors with her family. All the hunters agreed besides the scenery, making memories with their family and friends were their favorite part about hunting. Every hunter has a story, a great memory that will stay with them throughout their life. “If you don’t believe in hunting sit down with a hunter and talk about what it takes to fill a tag and what the money goes towards.” Dauer says. There is a law on the money these people spend on tags and firearms and ammunition, it is called the Pittman-Robertson act. It’s a taxation that gives every state money to conserve wildlife. “[Hunting is] my favorite thing to do with my spare time.” Flatten says. Hunting has been around throughout time, it puts food on the table, creates memories, gives the hunter the satisfaction knowing they provided and can keep family traditions going.